On July 5, 2018, at Hue University, Assoc.Prof.Dr.Nguyen Quang Linh, President of Hue University had a working meeting with the delegation from Savannakhet University (SKU), Lao PDR, led by Assoc.Prof.Dr.Bounpong Keorodom, Rector of SKU. 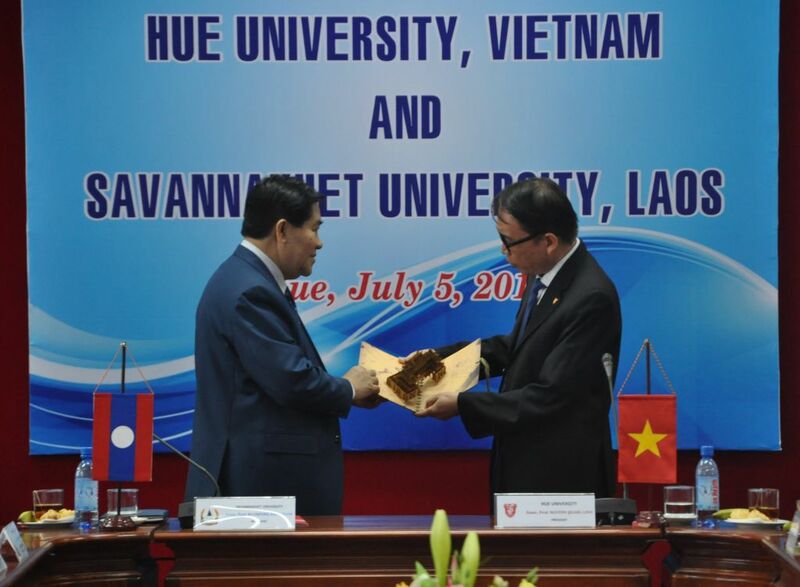 Joining President Nguyen Quang Linh was Dr.Do Thi Xuan Dung, Vice President of HU. The day before, the two universities had professional discussions. 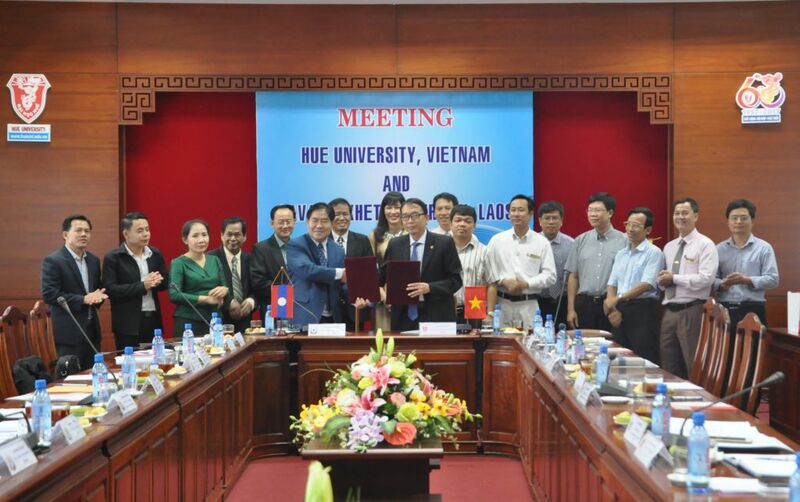 At the signing ceremony, Hue University and Savannakhet University discussed in detail, agreed upon a number of important contents and concluded a Memorandum of Agreement on HU Master Program of Environment at Savannakhet University. Hue University facilitated the cooperation with Savanakhet University with the aim to realize the Conclusion No.38/TB-VPCP dated January 24, 2018 by Vietnam Prime Minister, Mr.Nguyen Xuan Phuc, on supporting Hue University in training human resources for Laos. Assoc.Prof.Dr.Bounpong Keorodom mentioned the difficulties faced by Savannakhet University being a young university, language difficulties experienced by Lao students in international training programs,... Savannakhet University however demonstrated their determination to develop Savannakhet University into a strong university of Laos. Assoc.Prof.Dr.Bongpong Keorodom thanked for the warm welcome of Hue University and invited Assoc.Prof.Dr.Nguyen Quang Linh and staff to pay a visit to Savannakhet University. In witness of the senior managers of the two universities, Assoc.Prof.Dr.Nguyen Quang Linh and Assoc.Prof.Dr.Bounpong Keorodom signed the MOA: general framework, implementation agenda, division of responsibilities between the two universities. Savannakhet University (SKU) was established in March 2009. The Lao government aims to develop SKU into a multi-disciplinary university to meet human resource needs for the socio-economic development in the three Central Lao provinces, where East-West Economic Corridor and Trans-Asia Road are located. Since the establishment of SKU, Hue University and SKU together carried out many activities and explored further cooperation. 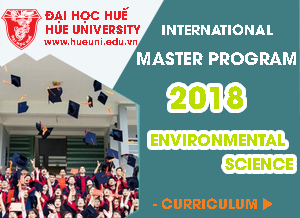 Hue University also has a scholarship program for teachers of SKU to pursue HU's master's and doctoral programs such as agriculture, rural development and agricultural economics.